Limerick manager Martin Russell says their situation leaves them “clearly on a focus to go and get some goals”, as they look to end over 200 days at the bottom with a final-day victory at Sligo Rovers on Friday night (The Showgrounds, 7.45pm). The match is live on RTÉ2 from 7.30pm. The Shannonsiders must defeat the Bit O’ Red and hope that Drogheda United fail to match that result away to Shamrock Rovers, a combination which would lift Limerick off the foot of the table for the first time since 10 April and send them into next week’s playoff. Limerick have faltered at home in recent weeks, losing three on the bounce at the Markets Field, but they are unbeaten away from there since July with three wins in four including a 3-2 success at Turner’s Cross. That – as well as their win at Galway United earlier this month – gives plenty of grounds for optimism that they can finally end their hell and set up a date with either Finn Harps or UCD by the Shannon on Monday night. The mission could not be clearer and Russell is confident that his players can recover from their successive home losses over the past fortnight by claiming three priceless points. “We’re in with a shout. We have to do the business in Sligo and then look towards what happens in Tallaght after that,” Russell told LimerickFC.ie. “It’s a difficult league – I said that all along. If the league was to go on another month we’d still only be a couple of games from mid-table. We’ve clawed our way back into a position where we still have a chance. “It was always going to be a tight competitive league, for the teams at the top and for those between the middle and bottom. We go into Friday’s game knowing it’s a difficult one but also Drogheda go to Shamrock Rovers which is a difficult game. 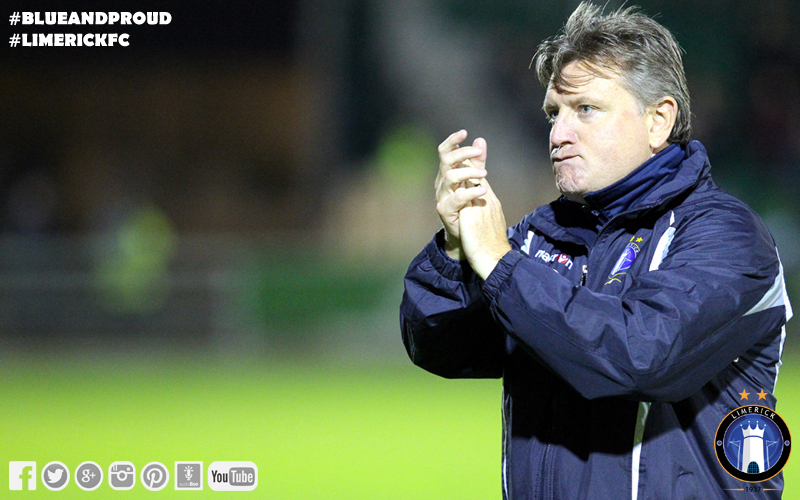 “Sligo will want to finish their season in the right way. We’ve just got to focus on putting in a performance that gives us the best chance of getting a win and we’ll see what happens then. “We have already bounced back from a defeat. That question has been answered. For me, the lads have already proven their character, and it was a big one by winning in Galway. “The reality is that we know we need to go to win. That puts us clearly on a focus to go and get some goals. We know what we have to do. We’ll give it our best shot. Russell is also hoping for another healthy support, having been backed by a magnificent crowd in Eamonn Deacy Park three weeks ago. Sligo, meanwhile, secured their Premier Division status for another year with a superb 2-0 win at Saint Patrick’s Athletic last weekend thanks to a second-half brace from substitute Dinny Corcoran. That was a first win in four. At home, their last outing saw them go down 2-0 to Bohemians but prior to that they had strung a three-match unbeaten run together at The Showgrounds. The sides have met twice this season. 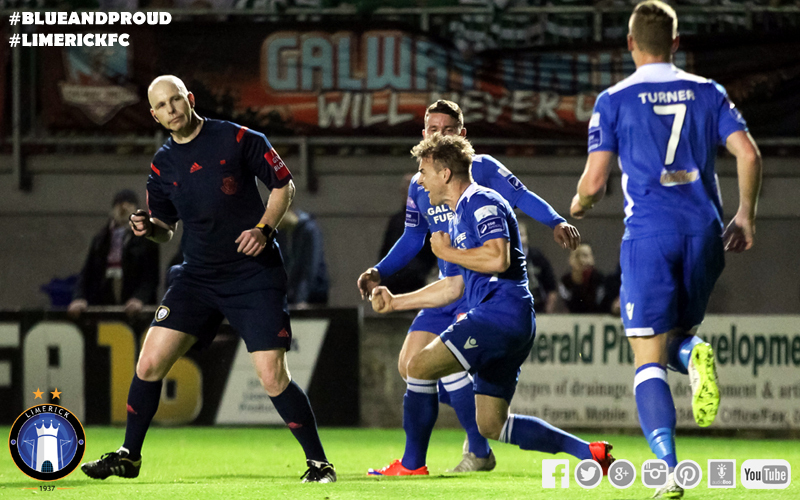 In Sligo in early May, Paul O’Conor’s last-gasp equaliser earned a 1-1 draw for Limerick, while in the return in Limerick in August, Russell’s side recorded their first victory of the league season at the 22nd attempt. Vinny Faherty twice and Dean Clarke provided the crucial goals in a 3-2 win. Team News: Limerick must contend without midfielder Lee-J Lynch who misses out through a suspension incurred for the accumulation of five yellow cards, but otherwise the Blues have a fully-fit squad to choose from. Officials: Referee for the match is Tom Connolly, his assistants are Ciarán Delaney and Darragh Keegan with the fourth official John McLoughlin.